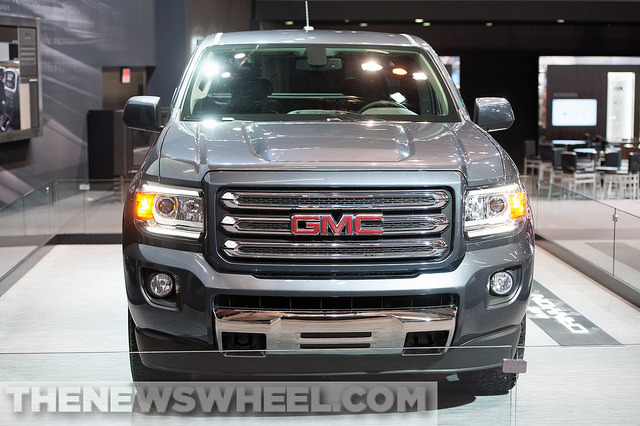 The thinking behind the all-new 2015 GMC Canyon is that bigger isn’t always better. It may seem like that is the case for pickup trucks, that the bigger towing capacity and truck bed size the better the truck. While that may be partially true on a construction site, GMC knows that a lot of truck buyers want a midsized truck that doesn’t completely sacrifice those features that make a truck a truck, but trade them off for some more practicality. An additional advantage to the mighty midsized truck is a vastly increased turn radius, approximately 41 feet. Bigger trucks all have a problem with tight turning and it often takes drivers a few tries to park, even if you’re accustomed to it. Also if you’ve ever gotten stuck in city traffic in a truck, it can be even more of a nightmare. While you’ll have to wait a few more months for the 2015 GMC Canyon to arrive in our showroom this fall, be sure to contact us online to find out when you’ll be able to come in to the dealership get behind the wheel of this mighty midsized truck.